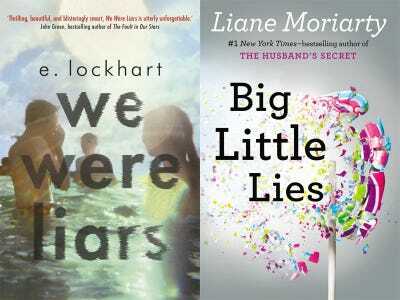 AmazonLockhart and Moriarty author two of the most popular books this year. With the cold weather setting in, there’s nothing better than curling up with a good book. As the year comes to a close we looked back to find the best reads of 2014. To generate a list of the “it” books this year, Goodreads collected data based on the most-searched-for, standalone fiction books on Goodreads between January and August 2014. 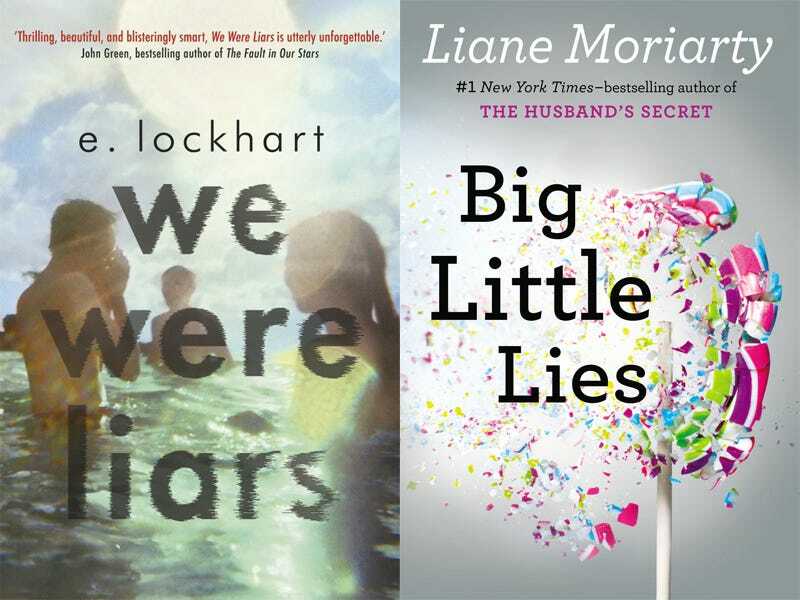 These are the most popular novels of 2014. This thrilling novel explores the lives of the Eastman family, and why teenager Cadence Sinclair Eastman can’t remember what happened at her grandfather’s lake house two summers ago. Cadence spends every summer at her grandfather’s sprawling Cape Cod estate with two cousins and a friend. The foursome calls themselves “The Liars,” and work together when their parents try to use them as pawns when it comes to settling their grandfather’s estate and will. The family’s dark secrets are revealed and Cadence finally uncovers what happened during that mysterious summer two years ago. Comedy writer Georgie McCool and her husband Neal, a stay-at-home dad, are struggling with their marriage. When Georgie receives the television writing opportunity of a lifetime she cancels the family Christmas trip to see Neal’s family in Omaha. To Georgie’s surprise, Neal packs up their daughters and heads to Omaha for the holidays anyway, leaving Georgie to contemplate their marriage. Neal is dodging her calls, so Georgie uses the ancient yellow landline phone in her room to call Neal’s home phone in Omaha. However, the Neal she talks to on the other line is the Neal from 1998 when they first met. Now Georgie has the opportunity to fix her marriage from the past, or decide if her marriage truly isn’t fixable. The World War II novel follows blind Marie-Laure and orphaned Werner. Marie-Laure’s father makes scale models of their Paris neighbourhood so his blind daughter can navigate the streets on her own and gain independence. When the Nazis occupy Paris, Marie-Laure and her father flee to the coastal town of Saint-Malo where she bravely works for the French resistance. Meanwhile, Werner, an engineering prodigy, lands a spot at a brutal Hitler Youth academy. Werner works for the Nazis and is sent to spy on the resistance in Saint-Malo, where his and Marie-Laure’s stories converge. In a suburban Australian town, Madeline, Celeste, and Jane lead completely different lives but are connected by their children, who are all in the same kindergarten class. The story builds up to a parent fundraiser where a parent dies under suspicious conditions. The story starts six months before the fateful fundraiser, with the three women coming together when Jane’s sweet-natured son is accused of bullying. “Big Little Lies” takes a look into the adult cliques and marriages of this seemingly placid little town and reveals the lies we tell ourselves to get through each day. Jess is struggling to hold her family together — her husband left, her step-son is being bullied at school, and she can’t afford to send her braniac daughter to compete in the Maths Olympiad. That’s where Ed, a geeky and selfish tech millionaire whose home Jess cleans, comes in. Because of Ed’s own dysfunctionality, Jess doesn’t expect anything from him. However, he helps Jess and her family get to the Maths Olympiad — possibly the first thing he’s ever done for someone else. Nurse Tate and airline pilot Miles have agreed to forgo a typical romantic relationship. Tate says she doesn’t have time for a boyfriend, and Miles is still fighting demons from his past, but the two are attracted to each other so they start a purely physical relationship. Miles is upfront and honest about not being able to handle anything more; Tate says she doesn’t want a relationship, but as time passes she develops feelings for Miles and believes she can change his mind, and maybe even overcome the thing that haunts him. “The Invention of Wings” is set in early nineteenth-century Charleston and is based on the historical Grimké sisters. On Sarah Grimké’s eleventh birthday she is given a slave, a girl named Handful, as a present. The story covers the two girls’ relationship over the next 35 years. Both come from different worlds, but have the same goal of making something more of their lives. Sarah eventually joins her older sister Angelina and the two serve as some of the earliest voices of the abolitionist movement.